Спасибо. Помогло. Всё в точности как вы описали. Apparently, as Klud written above, the archive file is missing "AstronautEngineer.sm" and "AstronautEngineer.mtl". Because of this file "AstronautEngineer.cfg" overwritten. 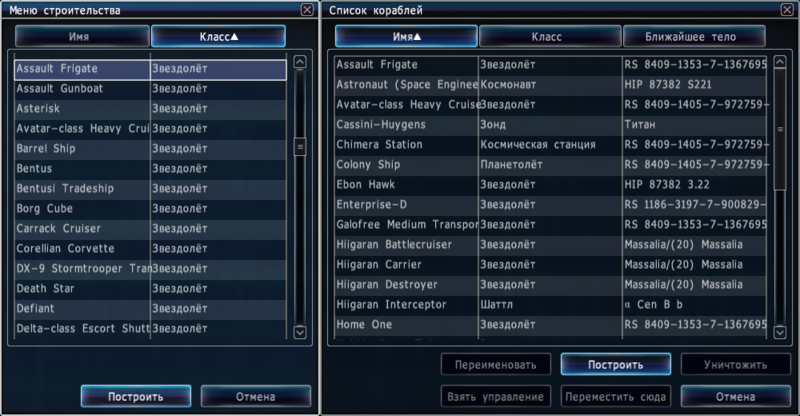 the archive file is missing "AstronautEngineer.sm" and "AstronautEngineer.mtl"
Wow, I put the wrong file in the archive! Thank you, I will fix this immediately. Почему у меня модели Star Wars не отображаются? Thank you for this one! Ebon Hawk is my favorite vessel from the SW universe. Вы не забыли вписать эти модели в "spacecrafts.cfg" ? Ships - Star Trek, Babylon 5, SDF macross, are there plans? DoctorOfSpace has done some Star Trek ships here, but I have no plans to do any. What about ISV "Venture Star"? I have no plans to port it, but I can if you can find a model.